There are more than one ways to extend battery life of an Apple iPhone and for that matter the Apple iPad too. Here are the most sure-shot ways to boost battery life of iPhone or iPad. 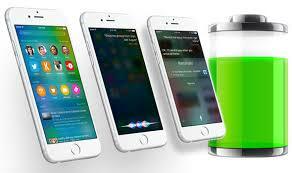 First and foremost, make sure that your iPad or iPhone is updated to latest iOS version. Go to ‘Settings > General > Software Update’ and find out if your Software version is up-to-date. If you are not an avid 4G LTE / 3G user and think that you can manage with 2G / EDGE comfortably, you should switch to EDGE and witness a minimum 25% increase in battery life. Of course you can always switch back to 3G / 4G when you need streaming data. You usually would not require high speed data streaming all through the day, it would only be required once in a day. Your WhatsApp and mails and Facebook notifications and updates will not get delayed in absence of 3G. Locate and Target the culprit Apps: Go to ‘Settings > General > Usage > Battery Usage’ and figure out which App is consuming your battery unnecessarily. Remove those Apps by uninstalling them or limiting their background data use. Background App Refresh should be restrained to only most used Apps. Go to ‘Settings > General > Background App Refresh’ and remove the culprits. Turn on Low Power Mode, new feature in iOS 9. This may lead to gain of around 25% extra battery life. It always helps during the period when you need the battery the most. But this mode may hamper performance of some Apps as they may be forcefully shut by the iOS. You may also turn off ‘KeyChain in iCloud’. If it helps save a few battery percentage points, it is worth the effort. Besides, you don’t need KeyChain all day long. Another important battery saver is the screen brightness. Set the Auto-Brightness to minimum. Go to ‘Settings > Display & Brightness’ and set it to minimum as per your preference. Another Background battery killer App is your mail app. You may want to switch from “Push” to check after a specified frequency, say 30 minutes. Go to ‘Settings > Mail, Contacts, Calendars’ and switch from “push email” to “check every 30 minutes”. Although few people rely heavily on latest updates through their mailboxes, if you are not one of those, getting a mail slightly late would not end the world for you. Following these simple steps you can get up to 2 times your present battery performance. Who knows when you may want those saved battery hours the most. Cheers.